Happy Tuesday everyone! 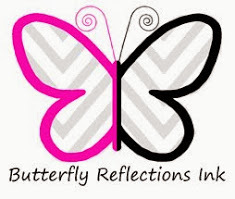 I am up on the Butterfly Reflections Ink Blog with a fun card using the new Concord & 9th Stitched in Love Turnabout stamp. This was my first time using a turnabout stamp! It was so easy and so much fun!! To start off, I highly recommend using the new Turnabout Jig this makes it so easy to turn precisely and always have it lined up perfectly. I used Altenew Crisp Dye inks in 4 colors: Hydrangea, Wisteria, Aqualicious, and Almond Butter. Using my Mini Misti, I stamped 4 times in the different colors just rotating my jig, and not moving the stamp. After all the colors were stamped, I re-stamped 4 more times with Versa Mark embossing ink and heat embossed using Wow Clear Sparkle Embossing Powder. I adhered to my card base using foam adhesive. I used the heart and sentiment that came with stamp set and used the Concord & 9th Holly Jolly Banner Die. I ran it through my die cutting machine twice with 2 different colored card stock and overlapped them to create dimension. I hope you enjoy this card as much as I had fun making it!! These turnabout stamps come in a variety of themes and they are so much fun!! Thanks for stopping by and have a fantastic week! See you next Tuesday!